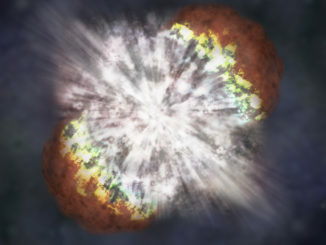 The death of a massive star in a distant galaxy 10 billion years ago created a rare superluminous supernova that astronomers say is one of the most distant ever discovered. 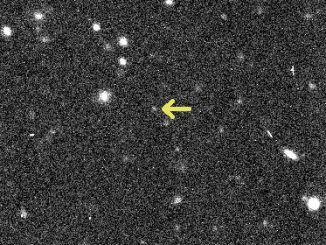 The search for distant solar system objects has found two more small worlds far outside the orbit of Neptune, beyond the Kuiper Belt. The new objects, 2014 FZ71 and 2015 FJ345, are in resonance with Neptune’s orbit, implying that these worlds either have interacted with Neptune in the past or are continuing to do so. Catastrophic mergers of binary black holes have been shown to generate gravitational waves, but they can also produce brilliant fireworks of light. 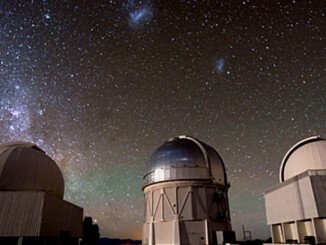 Now a team of astronomers has used the Dark Energy Camera (DECam) mounted on the 4-metre Blanco Telescope in Chile in the first detailed search for a visible counterpart of a gravitational wave event. Computer simulations of the evolution of matter distribution in the universe predict hundreds of low mass dwarf galaxies for every Milky Way-like galaxy. 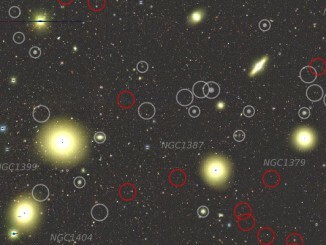 An international team of astronomers recently announced the discovery of an astonishing number of faint low surface brightness dwarf galaxies in the Fornax Cluster, suggesting that the “missing satellites” are now being found. 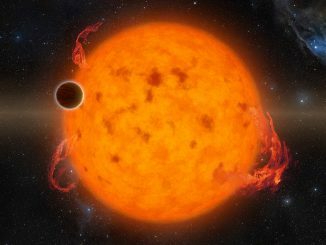 The collection of rocky planets orbiting distant stars has just grown by one, and the latest discovery is the most intriguing yet. 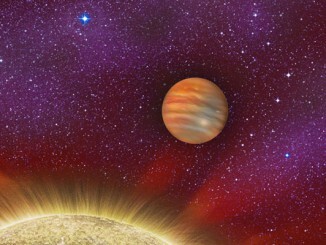 Known as GJ 1132b, the newfound world lies just 39 light-years away. 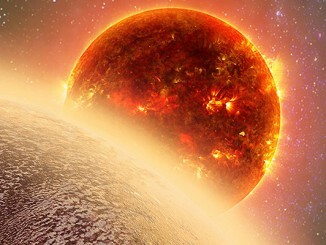 Although hot as an oven, the 9,200 mile-wide planet is cool enough to potentially host an atmosphere. If it does, we could study that atmosphere in detail with the Hubble Space Telescope and future observatories like the Giant Magellan Telescope. 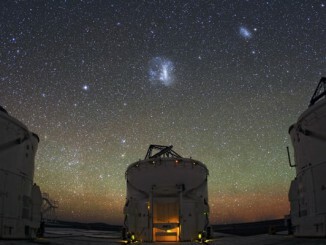 Astronomers have discovered a ‘treasure trove’ of rare dwarf satellite galaxies orbiting our own Milky Way. The closest is about 95,000 light-years away, while the most distant is more than a million light-years away. Astronomers have discovered the second known case of a four-star planetary system. 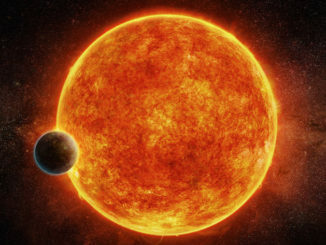 The planet was known before and has a mass ten times that of Jupiter, but was thought to have only three parent stars, not four. 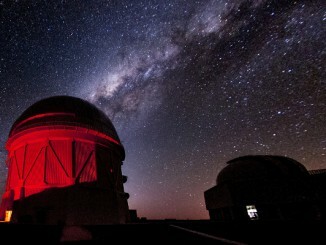 The findings help researchers understand how multiple star systems can influence the development and fate of planets.